Use our online document viewer to browse various permits, reports, and files related to our air and mining programs. All it takes is a simple search to access thousands of documents on NDEP activities across Nevada. 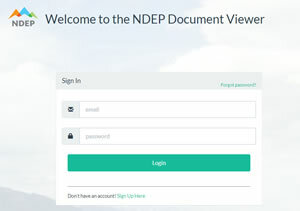 You may submit a public record request either with the online form (using the blue button below) or in writing using the NDEP Public Records Request Form (available below). After recieving the request, the Records Request Coordinator will forward it to the appropriate NDEP program. You will recieve a response later advising whether or not files exist and, if a program has files, offering instructions on making arrangements to view the files or obtain copies.